I completely forgot to take my weekly pictures yesterday, so I’ll have to post them tomorrow. Today it’s rainy in LA and I love it. 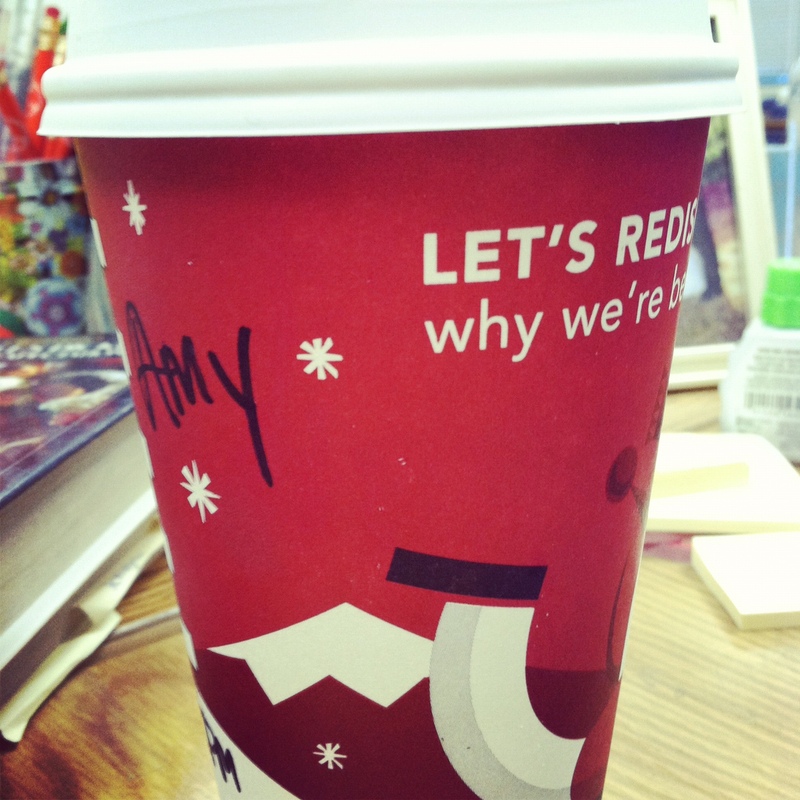 I’m wearing the rainboots from this post (my husband bought them for me after he saw it – what a sweetie) and I got myself a red cup to make the day that much sweeter. I’m feeling really happy this morning and I plan to make it last! Today is the last day to enter the giveaway for 25 free cards from Shutterfly! There will be three winners, so your chances of winning are excellent. Hurry up! Comments will be closed at 11:59pm tonight!